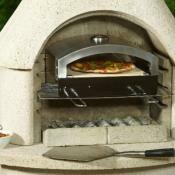 As with all barbecue's with a small cooking grill, you have to continuously turn the food to avoid too much charring. 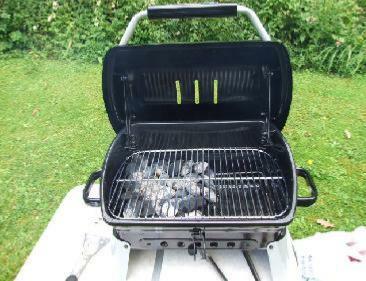 The big plus with this BBQ is only half of the grid was fuelled with charcoal and you could move all the food away from the direct heat and close the lid. Enabling you to take a break while the food is still cooking. 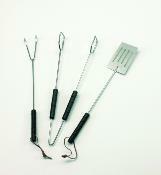 Using these portable barbecue's is a pleasure to use and so easy to control. 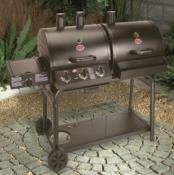 We were looking forward to testing this good looking portable barbecue. 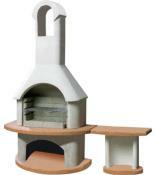 Very sturdy, and an instant feel of quality. Excellent fold down legs which could handle the back weight when you open the lid. 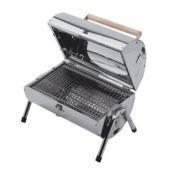 With 12 people to feed for a Summer picnic on Exmoor the barbecue performed extremely well. 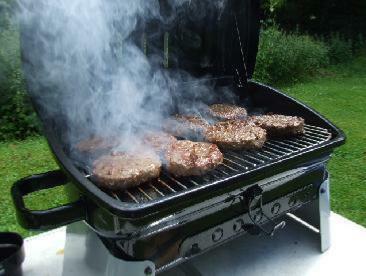 We started with beef burgers 2 batches of 8 cooked very quickly especially with the lid down. When the heat was high it performed like a micro-wave. we quickly had to close the bottom vent to slow it down. It only took around three handful's of charcoal briquettes to load around 50% of the charcoal grid. It was then lit with 2 small BBQ lighters. 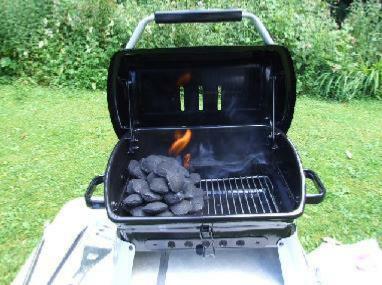 After around 15 to 20 minutes the charcoal should look like this and was ready to start barbecuing. 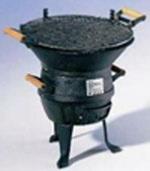 We spread the charcoal a little, to ensure heat distribution is evenly spread and to slow down the burning process. 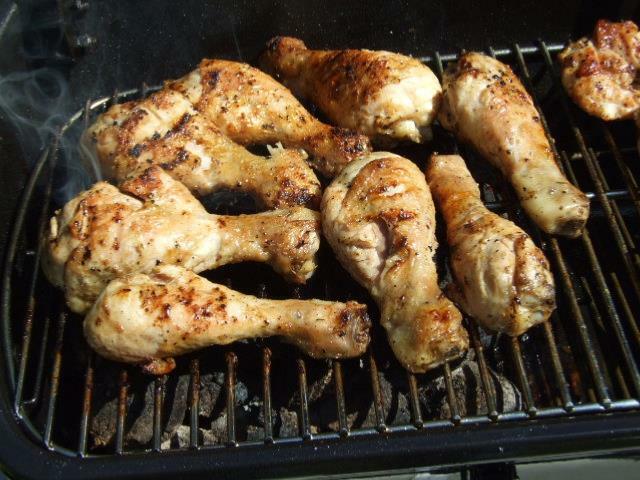 We still left nearly 50% of the BBQ grid free of charcoal. We started with the burgers first. 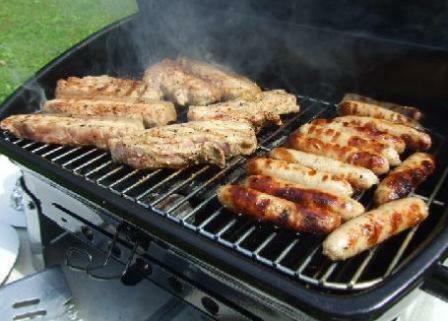 Boneless pork ribs and sausages never got out of control, any flames or flare ups were easily quelled by closing the lid down with the lid vent closed. The only negative we could find was that the lid hinges were situated above the grill about an inch in from either side, which cut into the food when closing the lid. A quick repositioning of the drumsticks had this cured.